I’m reposting this photo because someone asked to reuse it. It is also posted on Flickr. I provided it to someone for an article about selfies a while back. I’ve posted it to Facebook, but my other online copy disappeared when I moved my online photos to Flickr. 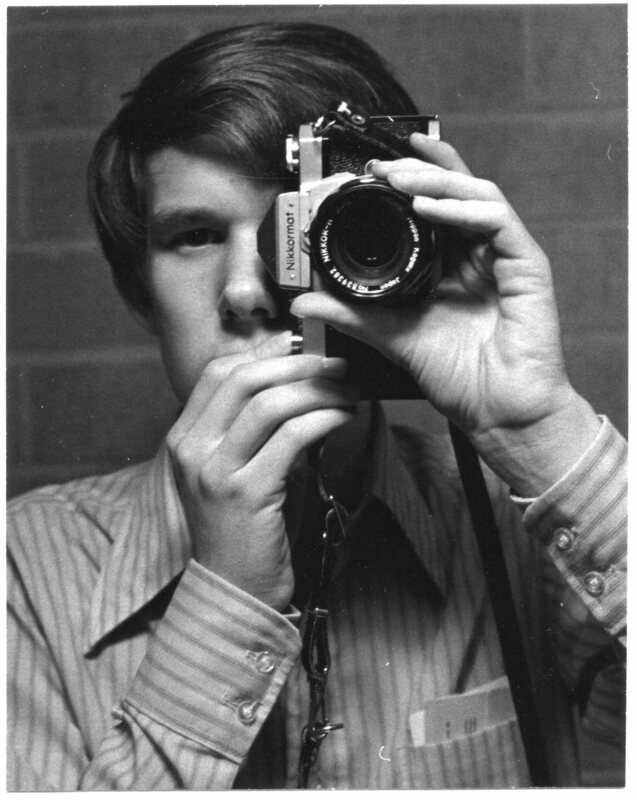 Vintage selfie, 1970 by Rick Smith, Cryptosmith is licensed under a Creative Commons Attribution 4.0 International License. I’ve always said, “Good artists borrow, great artists steal outright.” Or maybe I stole that from someone else. The selfie was inspired by author/photographer Andreas Feininger. His image of a photojournalist as a face behind a camera was featured in his book “Total Picture Control” (1970, Watson-Guptill Pubns). The image dates from the 1950s, since the subject is holding a ’50s era Leica. Feininger’s image was not a selfie. Looking at it today, the image has a steampunk vibe. So, my Creative Commons license is like closing the barn door after the horse escaped.